Did you ever hear about the Regatta? You probably have! Because for over 50 years Bonaire has continued to celebrate its sailing heritage by hosting the International Sailing Regatta, held this year from October 10-13. It’s consists of a sailing competition in daytime and a festival at night. Sailors from all over the Caribbean in all classes and ages will come to the island to compete against each other in this 4-day event. There are parties, races, dancing, as well as music, food and drinks! The entire island takes on a festive atmosphere and visitors from all over the world are welcome to participate. Enthusiastic? Don’t wait too long as space is limited during this popular event! During this event we can offer you a special deal! 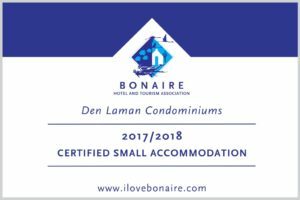 If you book your minimum 7 nights stay at Den Laman between October 1 – 31 for the Regatta, you will get a voucher with a value of $50 per person to be used at several restaurants and venues on Bonaire (for new bookings only).